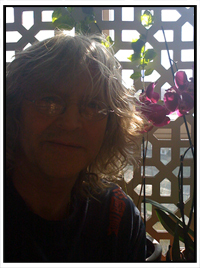 Academy Award winner ROGER CHRISTIAN (Director) has had an extensive film career. He won an Academy Award for set decoration on Star Wars directed by George Lucas, which began a long working collaboration with the filmmaker. 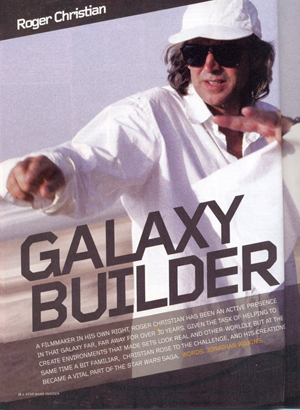 Lucas subsequently tapped Christian to direct the second unit on Return of the Jedi and chose Roger to helm alongside him on Star Wars the Phantom Menace. It was through Lucas that Christian got his first opportunity to direct a short film he wrote, entitled Black Angel, which accompanied the release of The Empire Strikes Back. Christian’s next short film THE DOLLAR BOTTOM won an Academy Award for best dramatic short film and a BAFTA nomination. Black Angel, a medieval myth about a Knight’s last quest. The 25 minute epic short film tied to Star Wars…The Empire Strikes Back as a programme. The Dollar Bottom, an Academy Award winner for best live action short film category. The Dollar Bottom also nominated for a BAFTA award. A short film based on a story by James Kennaway, one of Scotland’s most famous modern writers. The Sender, which received much critical acclaim and now a cult classic of its genre., nominated for Best Film by the Academy of Science Fiction, Fantasy, and Horror Films. It is now a world-wide cult classic. Selected for the Edinburgh Film Festival and as the opening film for the prestigious Avoriaz Film Festival in France. Nostradamus starring Julia Ormond, Tcheky Karyo, F Murray Abraham, Rutger Hauer and Amanda Plummer. The acclaimed film dramatizing the extraordinary life of the great French Astrologer in the 15th century. Final Cut, The HBO premier movie, starring Sam Elliot, Matt Craven and Anne Ramsey. A tense thriller set in Seattle around a disgraced bomb disposal expert Pierce played by Sam Elliot. Underworld, starring Denis Leary, Joe Montagna, and Anabella Sciorra. A brilliant script by Larry Bishop the son of (Rat Pack) Joey Bishop, Starring Dennis Leary Leary, Joe Montagna, Abe Vigoda and Anabella Sciora. An HBO release worldwide. Masterminds, starring Patrick Stewart, Vincent Kartheiser and Brenda Fricker. A triumph cinema release for Columbia Pictures and now on HBO worldwide. Battlefield Earth, Produced and Starring John Travolta, Forest Whitaker, Kelly Preston and Barry Pepper. Based on the all time best selling science fiction novel by Ron Hubbard. Bandido starring El Mariachi’s Carlos Gallardo, Kim Coates, Matte Craven, and Angie Everhart. Carlos Gallardo who starred as El Mariachi wrote this as a follow on to his character in that movie. American Daylight. Starring Nick Moran, Koel Purie, Gulshan Grover and Vijay Raaz. Set in the call centers of Delhi the story revolves around a desperately poor operator Sujata (Koel Puri) dealing with western bank accounts and a growing relationship with one of the banks clients, a young wealthy music company owner (Nick Moran). 13 Eerie. Starring Michael Shanks, Nick Moran, Katharine Isabelle, Brendan Fehr, Michael Eisner, Brendan Fletcher and Jesse Moss. 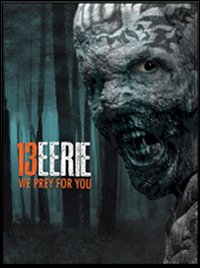 A group of forensic science students isolated on their final exams in 13 Eerie are attacked by genetically changed life prisoners who have become Zombies. Stranded. Starring Christian Slater, Brendan Fehr, Amy Matysio and Michael Theriault. 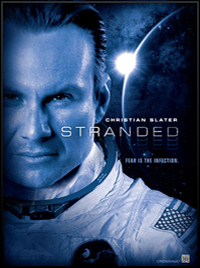 4 Astronauts trapped on a Moon base find more than rocks when a meteor storm knocks out their contact with Huston, and a spore on the meteor brings a life threatening Entity. Prisoners of The Sun, In post production. Starring David Charvet. John Rhys Davies., Nick Moran, Emily Holmes, Shane Richie, Gulshan Grover, Michael Higgs, Joss Ackland and Carmen Chaplin Filmed entirely in Morocco, the story revolves around the secret treasure buried deep under a princess’s pyramid. STAR WARS, 30th Anniversary documentary of the major Star Wars exhibition at County Hall, London, UK. Directed/Written by Roger Christian and Produced/Written by Lina Dhingra. Star Wars comes back to its spiritual home, London, where the first film and subsequent sequels were made. Roger’s involvement in those epics especially the first, are part of the story being told. Conversations. Musical Revue based on the work of Leonard Cohen, Hampstead Theatre. Christians work as an Art Director was highly acclaimed. Alien. Director Ridley Scott. The first in the Alien series Christian gained an Academy Award nomination. Other Art Direction credits include: Monty Python’s Life of Brian Akenfield .Sir Peter Hall. 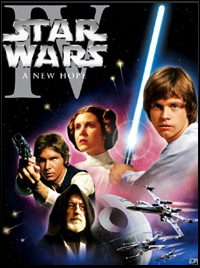 At present writing a book on my experiences at the creative heart of the first Star Wars movie, A New Hope where as Set Decorator I was responsible for the weapons and creating props like the Laser Swords and the first mock up of R2D2. Also for dressing all the interiors of the sets, and locations in Tunisia. I invented the use of scrap to achieve the reality look now standard for most Science Fiction films. My work as Art Director on the first Alien, recognised by Ridley Scott as the one person to enable him to achieve his vision using the techniques I developed on Star Wars, and Life of Brian as designer with Terry Gilliam. The book closes with the making of Black Angel for George Lucas, a 25 minute epic shot in Scotland on a tiny budget, a mythic retelling of the knights final quest. Then making The Dollar Bottom and how it went on to win the academy award for best dramatic short film. A classic Zombie horror film. Starring Catherine Isobel, Michael Shanks, Nick Moran, Brendan Fehr, Brendan Frazier, Ex cons and forensic science graduates go head to head in a mounting tale of horror and tension. Exec Producer , to be released by Eone films. 4Astronauts trapped inside a space station when a meteor shower slams into the station. One rock penetrates the hull, carrying more than the astronauts bargained for. A classic horror film. Adapted from the novel Buried Alive by acclaimed British Author Arnold Bennett and serialized in his novellas Grand Hotel Babylon, this is the story of Englands greatest painter William Blythe, who fakes his own death, assumes the identity of his valet and becomes the national cause celebre when found out. This story about the great reclusive and introverted painter is a wry, humourous story full of pathos and drama, and a pertinent parallel to todays world of celebrity and the Paparazzi. At the core is a wonderful love story where two people find that elusive connection we all aspire to find, true love. Julia Ormond, Jason Isaacs and John Rhy’s Davies attached.